Tragic news today as we've learned of the passing of Oscar winning director Jonathan Demme. He was 73 years old. 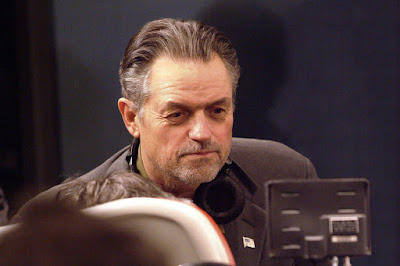 Like many who would go on to have great careers, Demme began working alongside Roger Corman in the 1970s, eventually going on to make his directorial debut with the prison film, Caged Heat. He veered into the mainstream in the 1980s with films such as Married to the Mob and Something Wild, but it was in 1991 that his career would reach a new stratosphere. That was when he directed Silence of the Lambs, the last film to win all 5 top Oscar awards: Best Director, Best Picture, Best Actor, Best Actress, and Best Screenplay. That success would continue with 1993's controversial HIV drama, Philadelphia, starring Tom Hanks and Denzel Washington, which earned Hanks an Oscar for Best Actor. In recent years his movies have been a mixed bag, finding great acclaim with 2008's Rachel Getting Married and modest reviews for Ricki and the Flash. His final feature was last year's concert movie Justin Timberlake And The Tennessee Kids, which earned strong reviews and cemented Demme's place as one of the great directors of musical documentaries. Coincidentally, a Demme-directed episode of Fox series Shots Fired airs tonight for those who may want to see new work from him for the last time. Our condolences go out to Demme's family and friends for their loss.